Adoniram and Ann Judson marked history forever in missions through their suffering for Christ. The young couple were the very first American missionaries to ever set sail overseas from America. 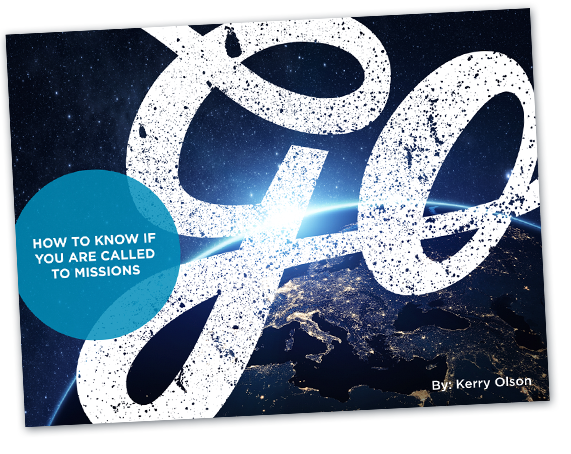 When they left, the face of missions was changed forever. Initially, on track for India, they eventually would lay down their lives for Burma (modern-day Myanmar). From the beginning, their marriage was centered around God’s call on their lives to missions. Both Adoniram and Ann knew God’s command to reach the unreached. The powerful description could have only come from the Lord Himself. How else would Adoniram have known how true his words would be over his and Ann’s lives? The suffering in which he described does not remotely compare to the absolute deprivation and despair in which the Judson’s faced. As we look further into Judson’s mission, we will see how many “heathens” were saved by the power of Jesus through Adoniram and Ann. The fruit of their ministry was both radical and measurable, as we can now read the statistics today. This blog is the third in the series of 10 Christian Missionaries Every Christian Should Know. The testimony of the Judson’s lives will inspire you to take a step further into the calling that God has placed on your very own life, purpose, and your destiny. Adoniram was born to a Congregationalist pastor and mother in Malden, Massachusetts. He entered Brown University at a strikingly young age, but this was no surprise to others. As a child, Adoniram showed signs of true genius. During his schooling, Adoniram became wayward in his faith. At age 20, he renounced the faith to his family. However, the Lord soon shook his thinking due to the death of his unsaved friend. This friend of Adoniram was a large influence in his revocation of the faith. In Adoniram’s questioning of his friend’s salvation, he was moved by the Holy Spirit to come back to Jesus, the Messiah. Ann never renounced the faith, however, she did have an internal struggle of her own. She writes letters of her disdain for her own pleasure and comfortability, portraying a wrestle between her worldly pleasure and a life lived for the Lord. This proved to be reasonably difficult since Ann was born into a well-to-do, pleasure-seeking family. Parties, dining, and fashion were always at the forefront of her mind during her younger years. Her wrestling continued, fortunately, and at age 16, Ann truly repented from her ways and laid down her life. This is all according to her own personal journal entries written throughout her adolescence into adulthood. Beginning from a proposed engagement letter, the story of Adoniram and Ann begins. The young Christians met at a dinner Ann’s family was hosting, in which Adoniram attended. Both fellow Congregationalists, and due to permission of Ann’s father, the two were engaged a month later. Ann accepted Adoniram’s proposal despite the unknown and treacherous circumstances. The zeal for missions was great in both of their hearts. Both Ann and Adoniram were committed to the call of the Gospel, above all else. Within the two weeks of their holy matrimony, they had been appointed by the history-breaking “American Board of Commissioners for Foreign Missions”. This board was largely founded in part to Adoniram (along with his four colleagues) in 1810, by his persistence and passion for the support of overseas missions. India is where the Judson’s first landed in 1812. This is where the couple was baptized by William Carey, which led to their transformation from Congregationalists into Baptists. Through many trials and isolation, after three whole years of treacherous seas, famine, and the deaths of their first child and dear friends, the Judson couple finally arrived in Burma. Adoriam had a passion for this nation for a very long time. Little did they know the rigorous training and learning it would take to eventually receive any fruit from their labor. After another three years of day in and day out language learning, the first ever Burmese conversion took place. His name was Moung Nau, and two others shortly followed his lead. This was a drastic change for the Burmese people, and for the Judson’s mission. A barrier had been broken, a Burman was willing to say “yes” to Jesus. Afterward, Adoriam and Ann had the privilege of providing baptism and the Lord’s supper in two languages, both English and Burmese. This was a desire that they had suffered for over many years. We reap on Zion’s hill”. The story does not stop there, however. The Judson ministry had just begun. Within the first six years upon arrival in Burma, the couple had started their very own Baptist church, consisting of 10 members, even though they all were facing the possibility of persecution and death by the Burmese government. Later, in 1822, Ann was forced to return to America for medical support, lest facing death. Adoriam insisted on traveling this journey with his treasured wife and companion. He did not want Ann to face the two-year journey alone, ill, and at sea. However, Ann refused to let their very fragile church be left alone in Burma. She was persistent in her petitions to go without him. Adoniram relented, staying at their home and church in Rangoon, Burma. During the time of separation, Adoriam finished the translation of the New Testament into Burmese, as well as vital parts of the Old Testament. This was a massive victory for the Gospel to reach the Burmese. The couple both sacrificed greatly for this. There was tremendous agony to the unknown of one another’s well being while being all alone on the treacherous path of travel and missions. This sacrifice was not in vain, the translation of the Bible proved to be a crucial aspect to the Judson ministry, but all the more crucial as it was for the salvation of the Burmese people. After the re-entry of Ann to Burma in 1824, she and her husband relocated to Ava, the capital city. Adoniram and Ann had been preaching and teaching the Gospel in the hostile city, but there seemed to be a promising horizon ahead. Some of the Burmese proved receptive to the Good News. The Judson’s had left behind in Rangoon, a small church to two other American missionary couples. The church had eighteen Burmese members (and growing), a church building, a printing press, and a school. Shortly after their move, to Ann’s horror, she was informed that Adoniram had been abruptly taken to a Burmese death prison. Adoniram was captured by the Burmese government. Things had taken a massive turn for the worst. It was 1824, and the Burmese and British were at war. Adoniram, a suspected spy, was sentenced long, painful torture in prison. For nearly two years, Adoniram would face horror and near death, merely staying alive by the goodness of God. Simultaneously, his wife petitioned relentlessly for his freedom, for his rights, and for the truth. She brought him food and water, living in a shelter right near to the death prison, while also breastfeeding the couples newborn daughter, Maria. Ann was an emblem of hope for Adoniram. The survival rate was excruciatingly low in the death prison, yet Ann’s devotion to her husband gained his survival. She was dedicated, even in her poor living conditions and facing smallpox and starvation herself. Ann kept their infant alive and went to the death prison every day to feed her husband. Ann would argue with and bribe the prison guards, to assure that Adoniram would receive his small bit of nourishment. All the while, he was bound in fretters, deathly ill, and chained to a large camp with another 100 or so dying, naked prisoners. They were starving, facing disease, suffocating in the stench of decomposing flesh, and dying in the putrid living conditions. By the grace of God, Adoniram survived through the time of war in prison. He was lead back to Ann, who was so sick, she seemed to be creeping on the doorstep of death. Having Adoniram back in her life brought her soul enough hope to carry on. The wife and mother shockingly regained enough health to travel to safety. Relocating from the capital was the safest option for the family, so they began ministry in the jungle with the Karen tribe of Burma. Shortly after, however, survival did not meet Ann so graciously again. Mrs. Judson had been warring foreign disease, fighting for her husband and daughter’s lives, and for the Burmese mission. War, disease, and her husband’s imprisonment had taken its toil. On October 24th, 1826, Ann passed away. Her husband was left devasted. Adoniram was optimistic to still have his daughter Maria. Tragically to him, she died a few months after her mother. He dug both of their graves himself, in Amherst, Burma. A storm was brewing in Adoniram’s soul. He was grief-stricken and devasted. He had lost everything. What he did next is something to remark at. Secluding himself in a tiger invested jungle is what Adoniram did, the man isolated himself and withdrew from all people. Adoniram solely sought the Lord, bringing along, large existential questions. He pondered and sought his own purpose, the will of God, and other human realities, such as death. Adoniram was looking for answers that only God could provide. Fasting for 40 days in the jungle, the gravely depressed man toiled with some of the hardest questions a man can ask God. He grieved intensely and questioned whether he had been in God’s will as a missionary. He also burned all his papers that qualified him from America. Adoniram wanted nothing to do with the success of his own but only wanted the Lord to be glorified. No Burman thought he would live through the treacherous, tiger-infested jungle. His return was a miracle to all of the Burman people, his life a testimony to the protection God offers. All were almost certain that the tigers would have devoured Adoniram. He not only overcame depression, isolation, and grief with the Lord but also the very real danger of tigers in the jungle. Moving forward triumphantly from a season in the jungle, Judson relocated Maulmain, Burma in 1827. Judson’s ambition to keep moving forward in his God-given mission is admirable. Evangelizing new cities and villages while traveling alone, the widowed missionary was relentless in reaching the lost. The passion still burning deep inside of him, Adoniram set out to translate the rest of the Old Testament into Burmese. Then, by 1828, he was again ministering to the Karen tribe. Almost a decade later (1837) the man had completed the entire translation of the Bible from English to Burmese. He had also started a Burmese-English dictionary. During this decade, Adoniram reaped the good fruit of his labor. The conversion of a Karen slave named Ko Tha Byu to Christ proved to be quite remarkable, as Ko Tha Byu was used by God as a powerful evangelist. The conversion led hundreds of Burmans to Christ. In addition to this prosperous time, Adoniram received many young baptists to disciple and train in Burma as missionaries. Among the newcomers was his wife-to-be. He married the recently widowed Sarah Boardman in 1834. This only added to the fruitful time in his life. She helped in much of the Burmese translations and also bore him eight children. By 1837 there were 1,144 baptized converts in Burma. Adoniram, Sarah, and their team were holding huge gatherings for converts and for the curious. They would preach and disciple, allowing the Holy Spirit to move the hearts of the lost to the Lord’s hands. This movement was a cry of victory for the Kingdom of God, for the plan of salvation taking place amongst the Burmese people. Adoniram had been ill ever since his imprisonment. His wife, Sarah, was now extremely ill. Burma was swarming with dangerous, life-threatening diseases. For the very first time in 33 years, Adoniram thought it wise for his first furlough. He cared deeply about the well-being of his wife, which lead him to take Sarah back to America for medical attention. Sadly, on the journey at sea, she passed and was buried at St. Helena in 1845. Adoriam, returning to America, found that he was a living legend. Thousands of Americans had been praying for him all this time, and countless Christians were inspired by his work. He was famous in his home nation and he had not even known it. “The Love of Christ, Boundless in its breadth, Infinite in its length, Fathomless in its depths, And measureless in its height. Adoniram Judson was buried into the watery depths of the Bay of Bengal in 1850. The lives of the Judson’s serve as a testament of God’s faithfulness to those who are devoted to Him. To both the believer and the unbeliever, God is faithful to deliver salvation to all. Adoniram and Ann Judson are proof that suffering for Christ draws us closer to God. Adoniram had learned through life, what it meant to suffer with Christ. By choosing to pick up their cross with Jesus, both Adoniram and Ann were able to reach the lost. In sacrificing all that we have, we gain all that Christ has in return. When we chose to lose our lives, we will find eternal life. Jesus says this in Mark 8:35, “Whoever saves his life will lose it, but whoever loses his life for My sake and the gospels will save it”. Adoniram and Ann knew this and brought others to the Good News of eternal life. Adoniram and Ann Judson were living examples of trusting the Lord with their lives. They lived the truth of Scripture in their walk of obedience, trust, and sacrifice.”Trust in the LORD with all your heart, and do not lean on your own understanding. In all your ways acknowledge him, and he will make straight your paths” (Proverbs 3:5-6). These sacrifices led to seeds being planted in which the Lord grew. Christianity is now the second largest faith now in Burma, only after Buddism. According to the Joshua Project, close to 8% of the Burmese (now Myanmar) population are professing Christians. This is a victory for the Gospel considering that the surrounding religious powers are Buddhist, Muslim, and Hindu. The climate in Myanmar is significantly hostile towards Christians. This goes as far as horrific violence, murder, and torture being pressed upon Christians by the Burmese military. But this does not stop the Burmese Christians, as it did not stop the first missionaries to ever step foot there. It is not about the persecution, but the Gospel. And the Gospel is more than sufficient to conquer the suffering of this world. As Christians, we should obediently lay our lives down, as Jesus first did for us. We must be dedicated when the trial comes during overseas missions, being confident that God is mighty to overcome.